My name is Shannon and I am just a house designer/draftsperson in Stony Plain, Alberta, Canada. I found your blog while I was researching glulam beam construction and details. I also have an interest in timber frame housing as it is my favourite and I hope to own one someday! Unfortunately they are not as popular here as they should be because it is so expensive to build in Alberta now. I took on a small garage drafting job thinking it would be easy but then the clients sent me a picture of what they wanted for their garage! It is beautiful but obviously done by an architect in the united states. I was wondering if I could ask your assistance on the photo! They want a triple car garage with a vaulted ceiling inside. The picture they sent me is obviously an open wood truss design on glulam beams. What I don’t understand is where the insulation goes in that picture! I have researched timber detailing here in Alberta so I have an idea how they do it here. I have never designed a timber framed house before. My main question is how big do the trusses have to be? I think they are about 14 to 18″ tall but I can’t find any info on them here in our Canadian wood construction associations. Can you take a look at the pictures and give me some suggestions. I would greatly appreciate any assistance! It will be sent to an engineer here to design and stamp the drawings anyways but I would like to have it drawn mostly accurately and I don’t know any truss designers around here that would be experienced like you are! I have attached two pdf’s. Let me know if you receive them. Hello Shannon, my name is Matt McGinnis. I took over the role of engineering at VTW last spring. 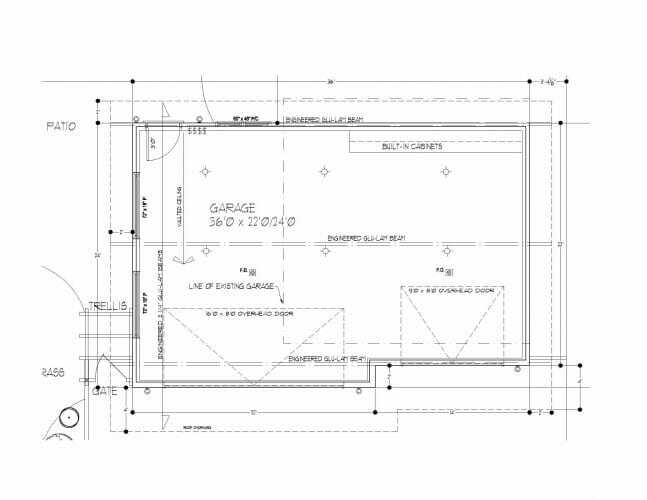 Unfortunately I only received a single attachment – a plan view of the garage showing the 24’x36′ plan and highlighting three glulam beams. The size of the trusses is a more difficult question to answer, as there are many variables that can factor into the design. 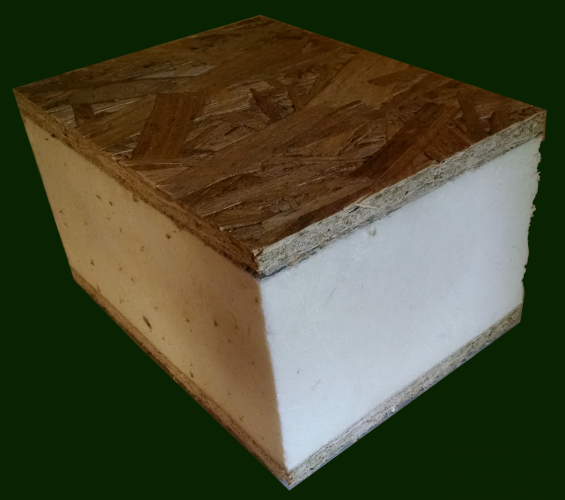 The snow load, roof pitch, wood species/grade, and truss spacing all effect member sizes. There are also many truss types to choose from, depending on the span and what the client likes aesthetically. 24′ is not a far span, especially for glulams, as they can be nearly any size/depth required. I would be surprised if you need a depth of 14-18″ for any truss member: if you run a series of four trusses spaced 9’0″ o.c. I bet you could use 5.5″ wide material, with depths around 9″-11″+. I do not think I can be much more help without knowing more about the project, but if you have any more questions please feel free to ask!